Murray Hill is yet another neighborhood that I don’t find myself in often for food. 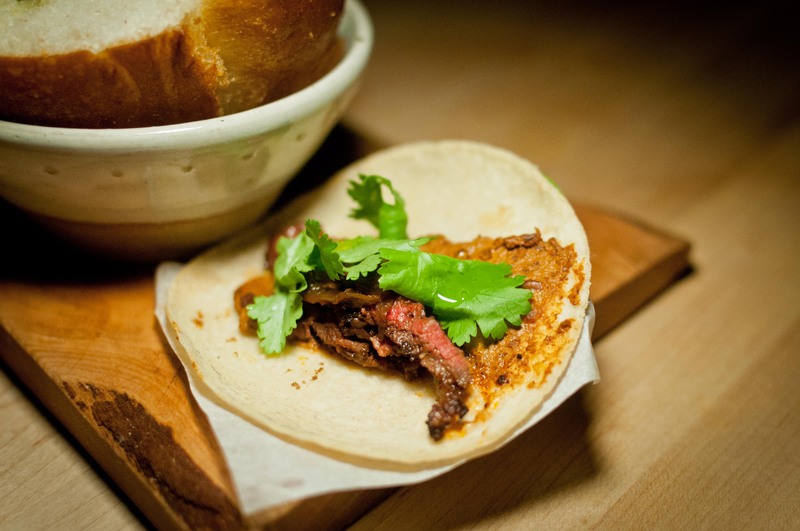 Yet when April Bloomfield chooses the Pod Hotel on 39th Street and Lexington to open her newest project, Salvation Taco, the trek across town becomes inevitable. The space is large and cavernous in the front, resembling a typical tavern and bar but the back was a little more eclectic. Instantly, you are transformed to a dark library lined with couches and arm chairs with old fashion table lamps that offered spot lighting over the tables. Did I mention this was eclectic? Because tucked in the back are ping pong and pool tables should you choose to take up a game or two. The lunches here are made up of small snacks, tacos and tortas. 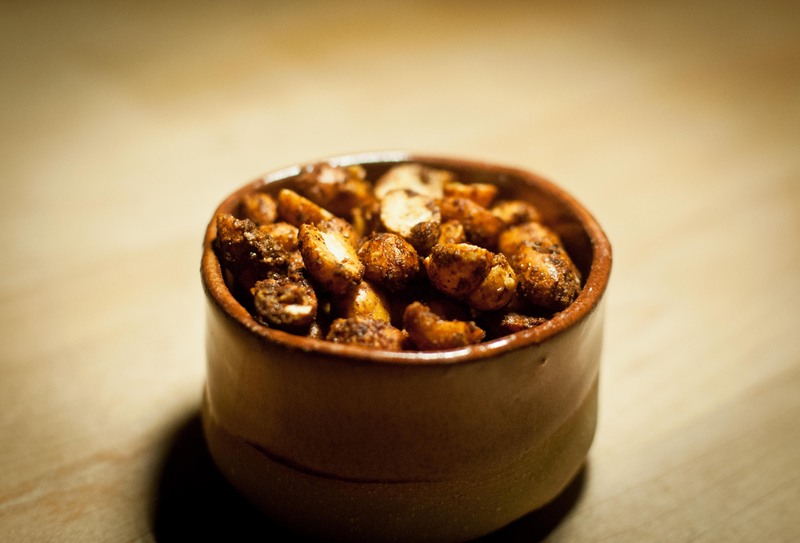 The snacks include the familiar such as spicy beer nuts and guacamole to crispy chicken feet and crispy pig ears. Trust me, the pig ears might sound kind of crazy but sometimes a little crazy is needed right? The crunchy pieces shatters easily and gives way to a chew that kind of sticks to your teeth. 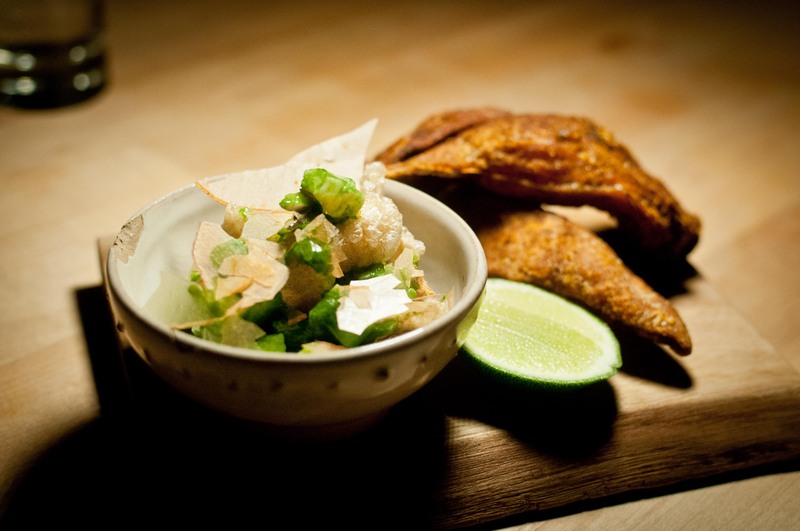 For something down the middle of the road, the ceviche verde with chicharones will do the trick. 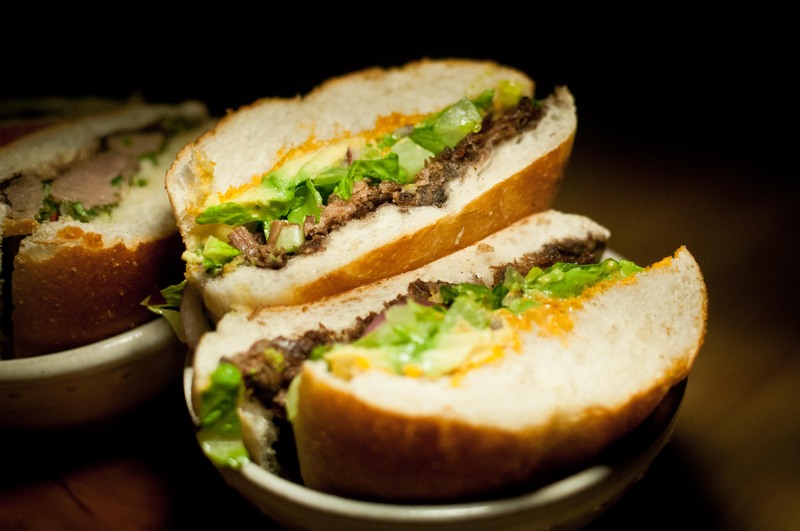 For dishes that are more filling, a torta per person will be necessary. The sandwiches are cut in half, making it easy to share and try more than one flavor. 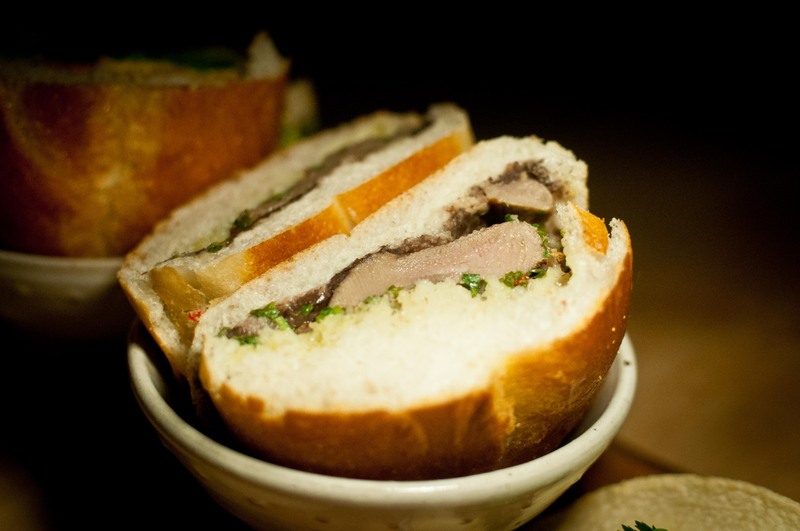 I loved the sweetness of the tender braised short rib but the tangy dressing on the rich grilled lamb tongue made the sandwich come to life. Even though there was a little too much bread overall, the flavors were strong enough to overcome. If you aren’t hungry, then give the tacos a try. These were definitely on the small side, a true two biter so you will have to be prepared to order just one. Now that you have been properly nourished with bar snacks, tacos and tortas, a game or two of ping pong or a round of pool should wrap up the lunch break nicely. Maybe there is a reason to return to Murray Hill after all.